Sue Deigaard was the first person in her family to graduate from college. Even though her dad dropped out of high school, her parents always understood the value of a strong education. 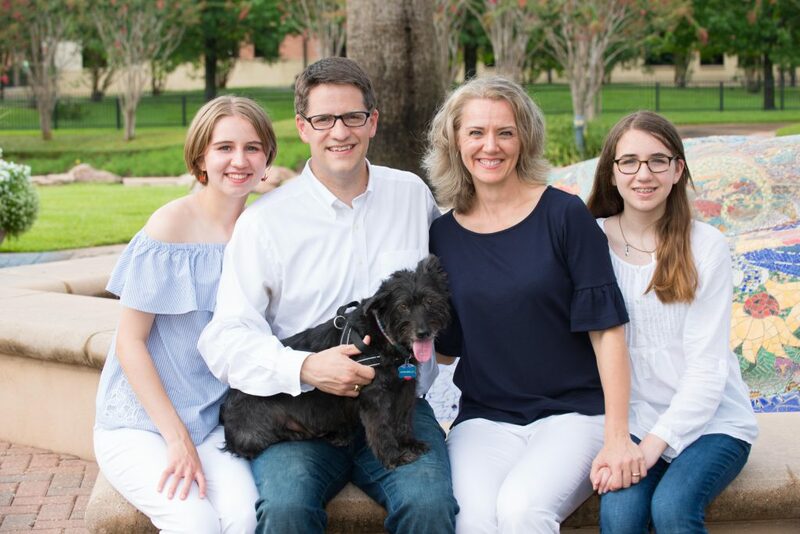 Thanks to the choices they made, Sue received an excellent education in the public school system, which prepared her to attend Rice University, graduate with two degrees, and become a tireless advocate for the next generation of students. Now her daughters are enrolled in excellent HISD schools. Their schools have strong principals, effective teachers, and enriching educational opportunities. Unfortunately, not every student in HISD is receiving the same educational experience. Sue believes ALL students should have access to the same high-quality education her children have. Sue’s vision for the future of HISD is simple: prepare all students to succeed. To accomplish this, we must create a culture of achievement that recognizes the unique potential of each individual student. Students should leave HISD not only with a diploma, but should graduate with a love for learning and with the knowledge and skills they will need to succeed in our ever-changing world. Houston’s children are the future of our great city. They deserve leaders who are committed to improving the quality of their education and to ensuring they have equitable access to excellent learning opportunities. They deserve leaders who will develop their strengths and provide support to address their challenges. They need leaders who will put student interests first, who will act with integrity and transparency, and who will recognize that all kids deserve the opportunity to achieve their greatest potential. They need leaders who are good stewards of public dollars to ensure that resources are invested equitably and effectively in their education. They need leaders who will create the kind of district culture where teachers want to work, students want to learn, and parents trust to educate their students. Most importantly, our children need leaders to be collaborative and innovative, developing HISD into a national model for 21st century urban districts. Sue is the right leader for our students.